Is your dog frightened of Vets? What can you do about your dog fear of vets? For many dogs, visiting the Vet is one of the most stressful things they experience. Even the most “happy go lucky” dog can become trembling nervous wreck by the sight of the Vet surgery. There can be several reasons for this. The dog may have had bad experience with a Vet in the past, or he was not properly socialized with the Veterinary surgery when he was a puppy. If you think about it from the dogs' point of view, it is easier to understand why he may consider visit to the Vet as scary thing. Unless you are taking your dog for a routine check-up there is likely to be something wrong with the dog in the first place. He may be in pain, which naturally makes him anxious and stressed. Not only that, you are likely to be stressed and anxious as well. We all know how aware dogs are of our state of mind, so this is likely to be adding to his fear. Then when you arrive at the Vet surgery there will be people (relative strangers) leaning over him, touching him, and restraining him. This is understandably stressful situation for even the most balanced dog, not to mention those that are nervous by nature, or whatever other reasons. There are things you can do to make your dog visit to the Vet less stressful for both of you… and your Vet. As soon as you get a dog, whether it is a puppy or older dog, you need to find a Vet in your area. We recommend visiting few surgeries prior to choosing your Vet, i.e. if there are more than one surgery in your area. Compare prices, but also the atmosphere and staff. When you have picked your Vet, you need to get your dog socialized with the Vet facilities and the staff as soon as possible. Taking your dog for a social visit to the Vet is something every dog owner should do and every Vet surgery should encourage. This is especially important for puppies as it can make them associate the Vet surgery with something pleasurable... hopefully for the rest of their life. Make sure your visit is a happy occasion. Allow your dog to meet and greet the staff, sniff the corners, and bring treats or toys for him to enjoy. It can be really helpful to let the staff give him the treats. Most dogs remember fondly those that have give them treats in the past. If your dog is a nervous type, or seems fearful of the Vet surgery, then you may want to make more than one social visit to the Vet. It really helps if your dog is used to being handled by humans. He is then likely to be more relaxed when the Vet starts touching him. Make sure you can touch your dog all over his body, including opening his mouth and looking into his ears. Get your dog used to being picked up, restrained, and leaned over. Teach him to sit, stand, lie down, and turn around on command. For dogs with fear of Vets, it can help to do mock exams on them daily for couple of weeks prior to taking the dog to the Vet. Pick your dog up, put him on a table, lean over him, touch him all over, and practice your commands. It if course makes all the difference if you have an appointment with the Vet or if it is an emergency. In the former case you can prepare in advance, in the latter case, you just have to do your best (especially in trying to keep yourself calm). These tips for taking dog to the Vet are based on regular visits to the Vet. However, if you apply them during your routine visits, they will benefit you and your dog in the long run, e.g. to handle better those emergency visits. Make sure you exercise your dog properly before his Vet appointment. It will make him tired, both mentally and physically, and hence more relaxed. What's more, exercise increases the natural serotonin levels in the body, which acts as sedative. You and your dog are unlikely to be the only one visiting the Vet. There are likely to be other dogs, or animals. They may be friendly, or they may not. You don't want your dog to have unpleasant interaction with other animals so keep your dog on short leash throughout your visit (unless your Vet asks you to take it off). Short leash is best for keeping your dog under control in a busy environment like the Vet surgery. Most dog owners don't enjoy visiting the Vet either. If you are one of them, then your dog knows it. So watch carefully what you do and say when taking your dog to the Vet. It is important that you stay calm and collected no matter what. Try not to show it if you are worried. If your dog is nervous, ignore him, don't fuss over him. If your dog is struggling, look away from him. That tells your dog that you do not approve of his behaviour. When he has calmed down, look back at him (but not with concern!). You don't need to say anything. Actually, it can be best if you say nothing as your dog is already over stimulated and doesn't need more stimulation (like words). Your behaviour will tell your dog everything he needs to know so make sure everything you do (and say) is done in a calm and controlled manner. You can of course not control how your Vet and his staff behave. However, you know your dog best, so you can advise him about what kind of behaviour works best for your dog. Many Vet's greet their patients (the dog) first, i.e. focus on the dog, make direct eye contact and pet them. This may not be the best approach, especially not if the dog is nervous in the first place. In those cases, it may be better to ignore the dog for a while, i.e. to allow the dog to settle a bit. This may be enough for the dog to be fine with the Vet approaching him, but sometimes more cautious approach is needed. Then it may help if the Vet approaches the dog from the side, avoids direct eye contact, and gives the dog the opportunity to approach him. It normally also helps to allow the dog to sniff everything, i.e. the staff and the tools used. You may know, or have the feeling, what works best for your dog. Don't hesitate to ask your Vet to approach your dog differently. Or work with your Vet to find the best approach. 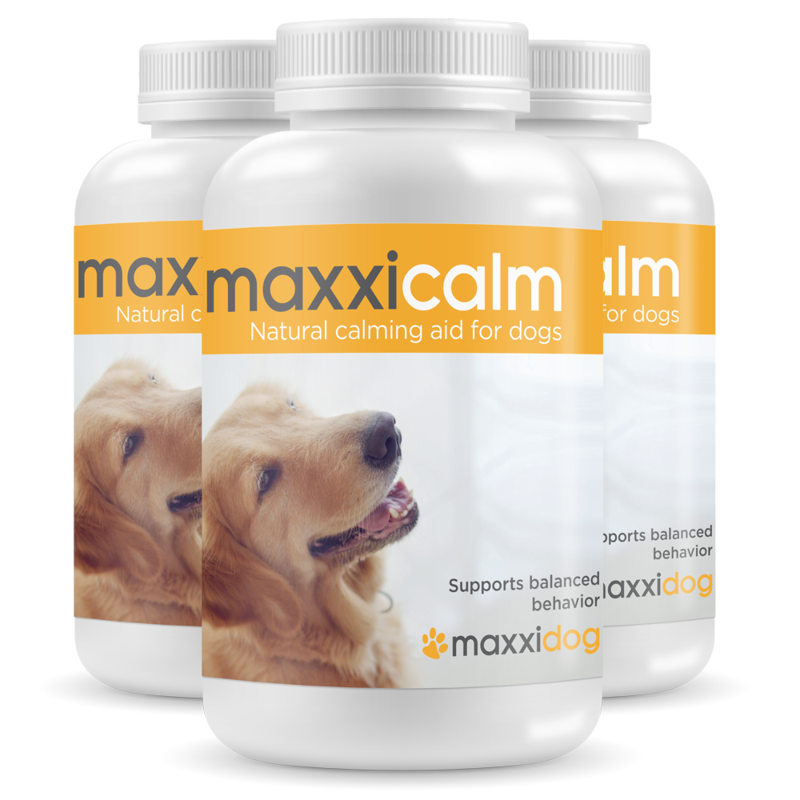 There are available natural calming aids for dogs, like maxxicalm, that can help your dog to relax before his visit to the Vet. Good quality calming aid can really take the stress out of the situation for your dog… and for you and your Vet. For best results, you should give your dog the calming aid for couple of weeks prior to his Vet appointment. You should still apply everything above, i.e. make introduction visit, get your dog used to being handled, exercise before the Vet appointment, use short leash, stay calm, and work with your Vet on how best to approach your dog. If your dog suffers from severe panic attacks when you take him to the Vet, then you may want to consider dog anxiety medication. If your dog only needs the medication for his Vet visits, then it is best to give him something that can be given couple of hours before his appointment, i.e. not something that takes weeks to work. Dog behaviour techniques, like desensitization and counter-conditioning are the best approach to work with dogs suffering from fear of Vets. However, they are not very practical in real life. They require commitment from both the dog owner and the Veterinary staff and number of regular visits to the Vet surgery. This may though be well worth the effort in the most serious cases, i.e. if you can find a Vet that is willing to work with you on this. Don't forget to reward your dog after visiting the Vet, i.e. to help him associate visiting the Vet with something pleasurable. It may be a treat, favourite toy, or some activity he really enjoys. Of course, sometimes your dog will not be up to much after the visit, e.g. if he was having an operation, but reward your dog every time you can.